The Cermetek AquaMon is an Internet based monitor and control system. Cermetek designed AquaMon specifically to aid in the adoption of precision agriculture. AquaMon has also found use in other applications utilizing environmental monitoring and water control. AquaMon systems includes sensor nodes deployed in the field, cell communications to move data between the field and the web server, and the secure web server running the Cermetek RSVP (Remote Sensor Viewing Platform) specialized data processing software. AquaMon Sensor nodes connect to a wide variety of sensors. The bulk of these sensors are industry standard units measuring soil conditions, flow rate, weather, water pressure, and water depth. 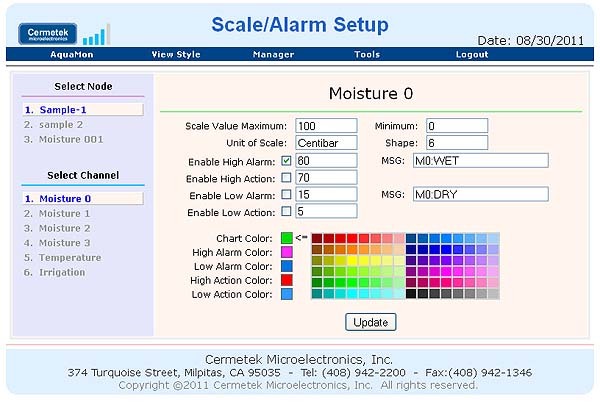 Cermetek does supply proprietary specialized sensors for some applications. 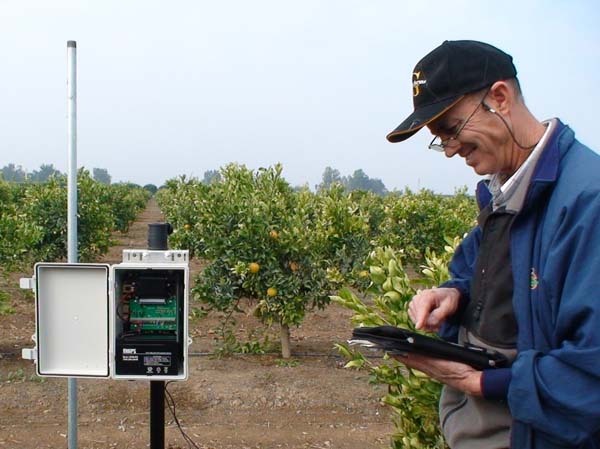 These include the LeafMon crop water stress monitor and SIMAT surface irrigation monitor. AquaMon Sensor nodes also connect to equipment actuators in the field to control pumps and valves. 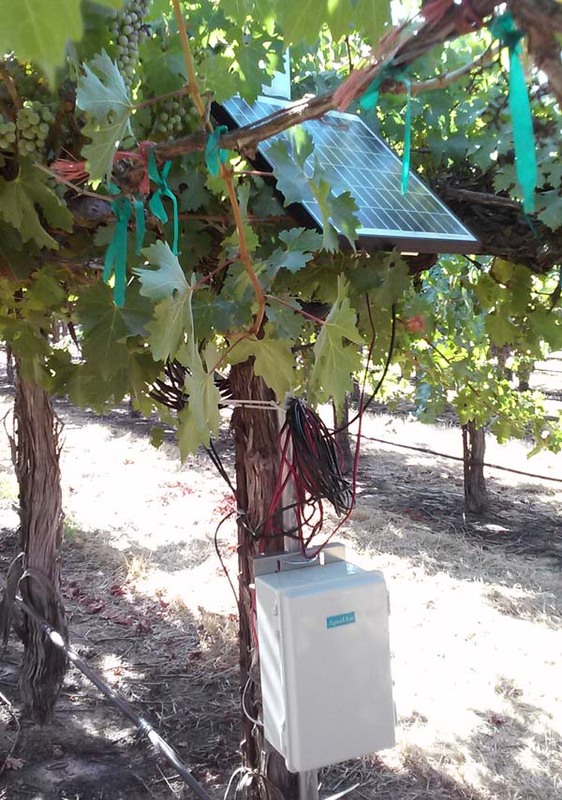 This permits the grower to control irrigation remotely or to permit the RSVP software to control irrigation based on sensor data coming in from the field. The RSVP software runs on the Cermetek web server and processes all of the data sent in from the field. RMA forges the raw data into an SQL database. RSVP then processes the data for display, alarm activations and other actions. AquaMon enables precision irrigation, maximizing yield, reducing power costs with smart pump control, and preventing crop damage with automated alarms. AquaMon features a variety of types of nodes. The type of node required depends upon the application. As an example, for surface irrigation monitoring SIMAT specific hub and nodes are required. Applications which require only a single monitoring station or where the monitoring locations are widely separated are best served with Single Node Systems. Wireless Sensor Nodes communicating through a Communications Hub can be used when multiple monitoring stations are located relatively close together. Contact Cermetek to select the most effective node selection for your application.